Create custom webbing straps with adjustment slides. 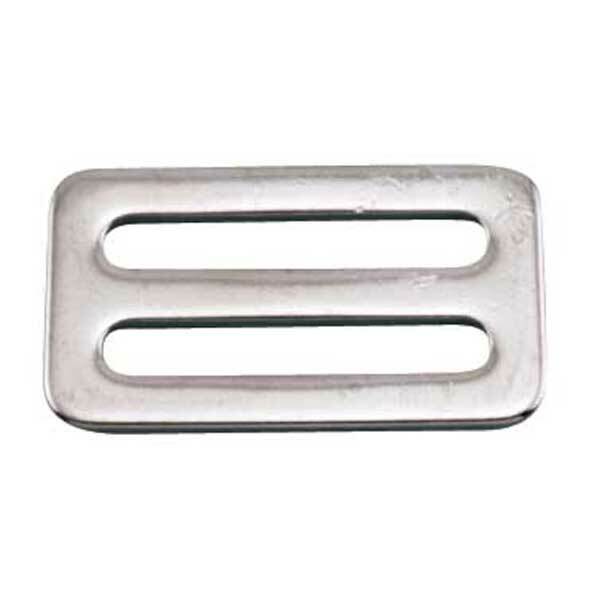 These three-bar adjustment slides, or fixed threading plates (as they are also know as), are ideal for tightening nylon webbing straps. The simple design can be installed anywhere along flat-weave (non-tubular) webbing to create an adjustable loop for tie-downs or sewn to one end to build an adjustable strap. 304 stainless steel provides an excellent blend of corrosion resistance and strength for these stamped plates.